ITEM TEN: The Black Bowl. Scratched enough to show texture, though not so much as to be distracting, I found this black bowl at the Goodwill for $2.00. 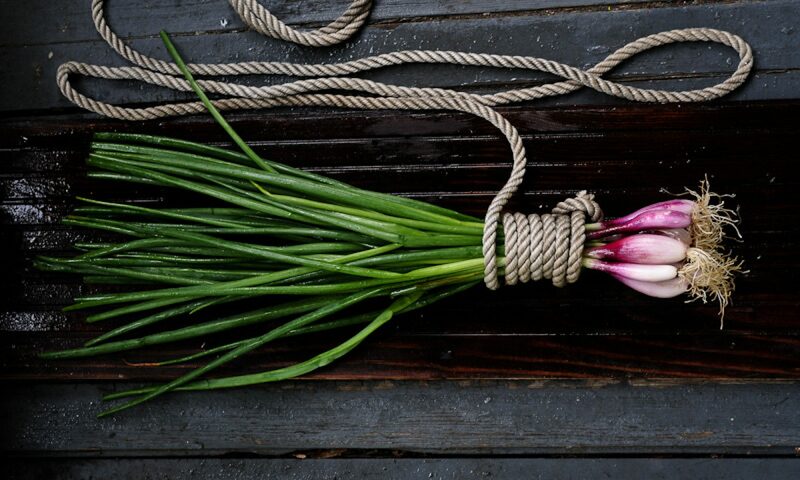 The key with using black dishes in food photographs is to manage the void, not let it consume the photo. Sometimes you want a range of shades reflecting the lighting and contrasting the food. 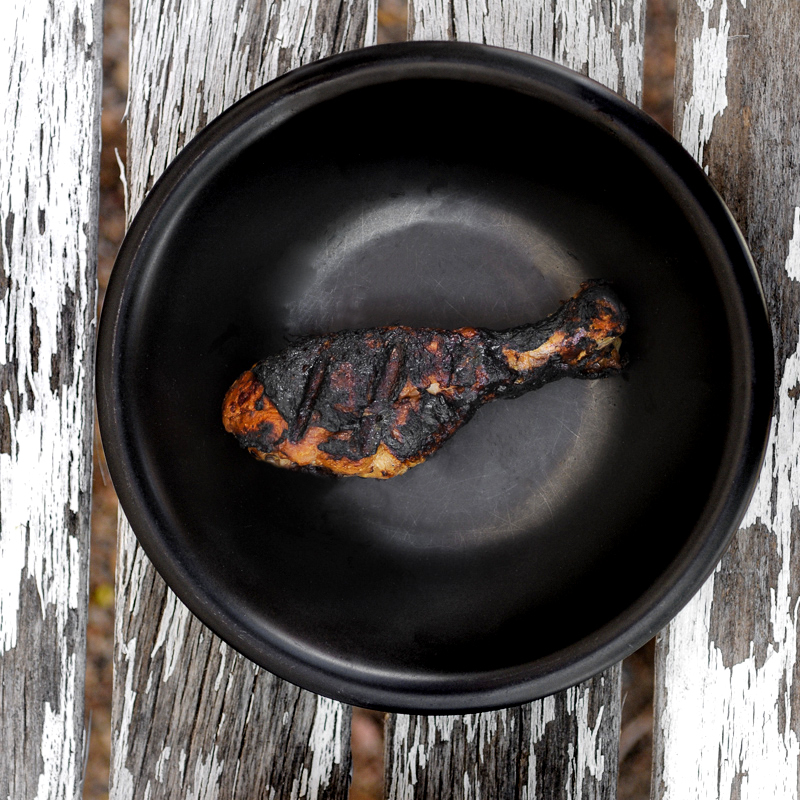 This slightly over-grilled drumstick is a perfect example of the way texture can be reflected with black. Shot right here in a shady spot in Albuquerque, New Mexico and eaten promptly after.